Montreal-based progressive death metallers AUGURY will release their third full-length album, "Illusive Golden Age", on March 30 through The Artisan Era. The stunning cover art for the follow-up to "Fragmentary Evidence" was designed by renowned artist Filip Ivanović, who created last year's ORIGIN album art. AUGURY enlisted CRYPTOPSY guitarist Chris Donaldson at The Grid Studios in Montreal with the album's mixing and mastering to ensure a high-quality sounding final product. "Illusive Golden Age" is certain to be one of 2018's most memorable death metal records, and a strong return to form from one of the modern eras most influential progressive death metal acts. The album's first single will see release next Monday, February 5. 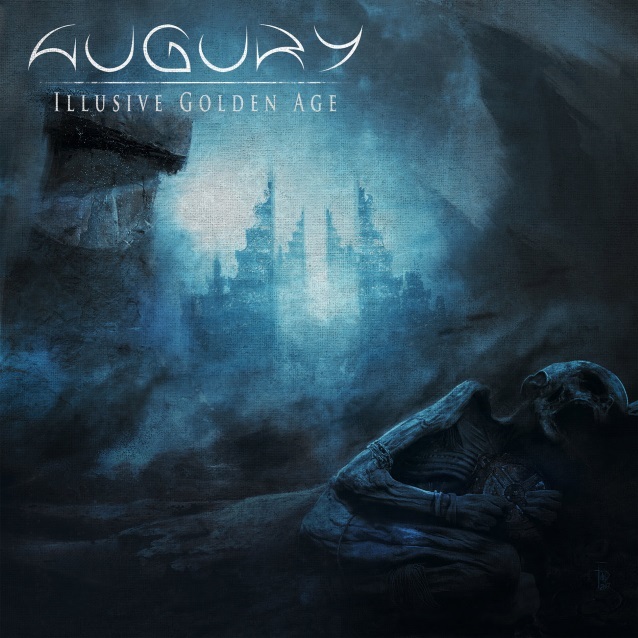 AUGURY had the following to say about "Illusive Golden Age": "We're proud to present you 'Illusive Golden Age', our new album, which makes the connection musically and lyrically with 'Concealed' and 'Fragmentary Evidence'. It took us quite a long time to concretize so we're eager to see people's reaction to our new music. 'Illusive Golden Age' is a poetic tale about the recurrence of downfall and a glance at some factors that bring down societies, influenced by lost civilizations and their enigmas."